The Heart C2C Scarf is a creative adaptation of the corner-to-corner (C2C) stitching method. This is a large project (10.5″ x 61.5″), very much in time for Valentines. It is made complete with twin pom-poms on its ends. The pattern is well written, and has a graph as well. 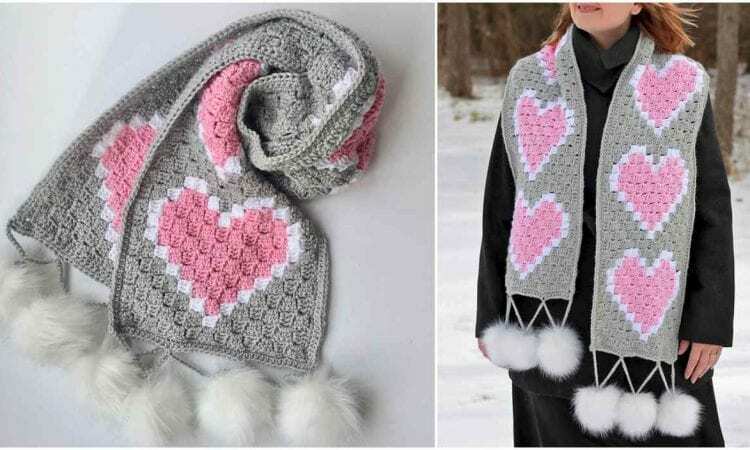 This is a lovely project, without being cloyingly sweet unlike many other Valentine-themed crochet patterns. A link the free pattern is at the end of the post.